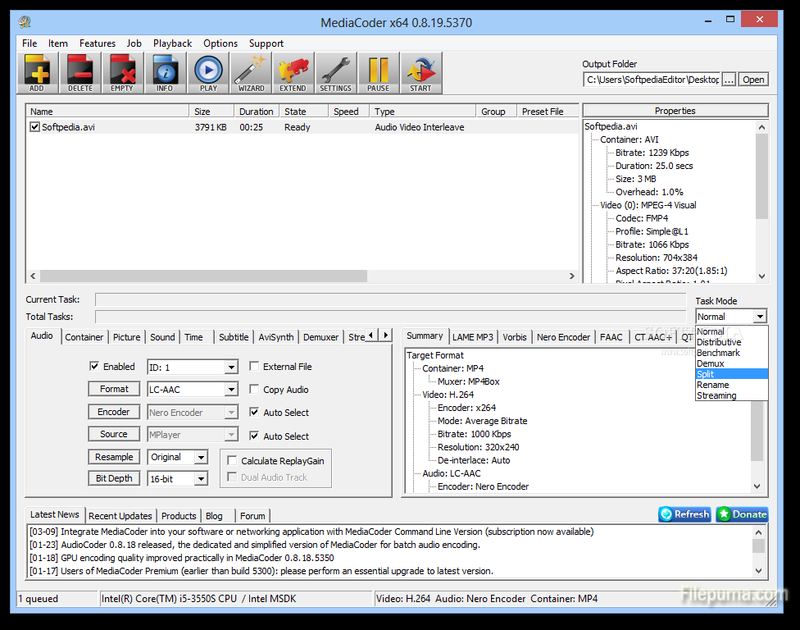 MediaCoder is a universal media transcoder software actively developed and maintained since 2005. It puts together most cutting-edge audio/video technologies into an out-of-box transcoding solution with most extensive adjustable parameters letting you take full control of your transcoding. You could also use it to convert video to MP4. Here is the instruction. 4. Go to the “Container” tab and select “MP4″ from the drop-down list. 5. Click on “Start” button and wait for a while, you could successfully get the MP4 file from MediaCoder.